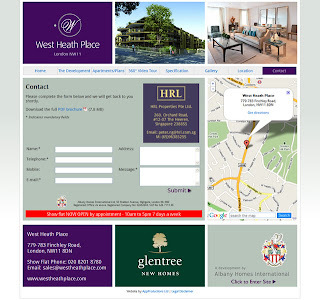 The London apartments at West Heath Place are now being marketed by HRL Properties with an exhibition on 2nd and 3rd of October 2010 at the Four Seasons Hotel in Singapore. Time to serve websites by geographical region. Server location less important but registering the correct domain extension can require residency or registering through an agency in that country. Also serving content in the same language is duplication but it's not clear if this is relevant when each audience would only be able to access one site.